High rigidity/high accuracy gripper "HP04R" can be freely rotated. 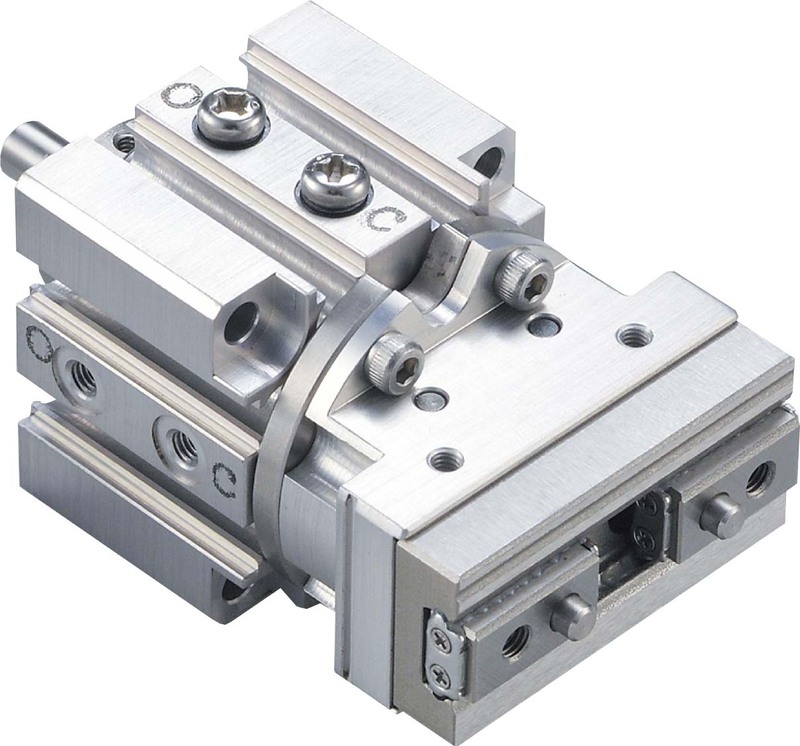 High rigidity/high accuracy gripper "HP15" can be freely rotated. High rigidity gripper "HP03E" can be freely rotated. 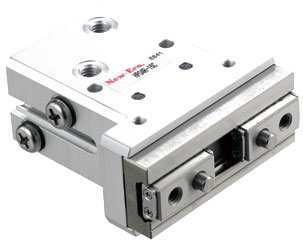 180 open/close gripper “HV02E” can be freely rotated. High accuracy actuator can be freely rotated by external force. High accurate reciprocation, and rotation are achieved with 1 piece. Parallely located two guide tables can be synchronized. Ball screw is installed on compact linear guide.